The perfect, classic addition to your child’s bedroom, this captain’s bed provides functional storage as well as style. The headboard features one shelf for bedtime storybooks while two drawers offer storage for toys or extra pillows and blankets. 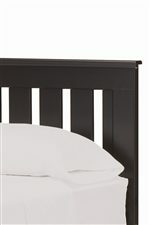 Tuck your child in tightly at night and rest assured that this mates bed will cradle your child in comfort. The Columbia Twin 2 Drawer Youth Mates Bed with Shelf Headboard by Lang at AHFA in the area. Product availability may vary. Contact us for the most current availability on this product. 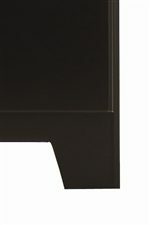 COL-B-24077 Twin Mates Bed 1 40" 77" 12"
COL-B-3/3BC8 Twin Bookcase Headboard 1 42" 8" 39"